I'm a big Walking Dead fan and can't wait until the release of the new series on the 19th October! Mummy Mishaps created the 'Halloween Me' linky so I thought I would have to join in too and become a zombie - what do you think? You can edit your photo using the fab new themed tools from Picmonkey. 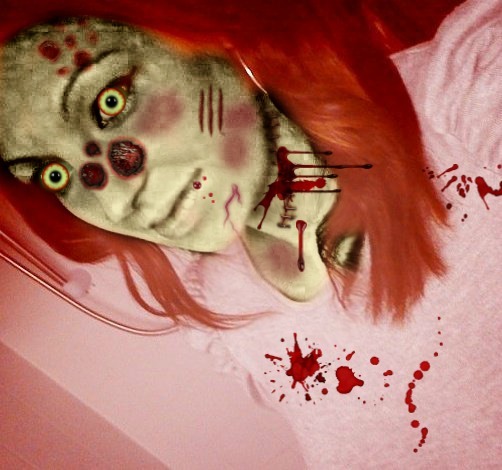 So this is me Zombified! ... Don't worry, I've suddenly turned into a vegetarian! I did something similar on my hubbys phone lqst year, scared myself lol. It looks fab!! I am such a wuss! I actually had a fright then!! !